I have been asked recently by email what it is I have against "simultaneous initiative". For those who have come in late, "simultaneous initiative" is where you effect a simultaneous block/deflect and counter - or alternatively strike in a manner that negates the need for any block1 or deflection. By contrast, "late initiative" is where you are forced to evade or block/deflect, then effect a counter. The common criticism is that this separates the defence and counter into two movements. Simultaneous initiative, by contrast, comprises just one movement. Now I must make this point: I have absolutely nothing against simultaneous initiative. I don’t prefer late initiative – in fact the reverse is true. I hold it to be self evident that one should never do two movements where one is possible. Correspondingly you should never "wait" for an attack where you can simply strike your attacker. I remember learning the latter lesson well while playing goalkeeper in soccer. When I first started, I tried to wait in the goals while a striker approached. I was, of course, a sitting duck: the striker passed me easily. I quickly learned that when you are facing a lone striker advancing to your goal, you have no option but to "take the fight to him/her". It makes no sense "waiting for the attack". You have to be assertive and "seize initiative" as soon as possible. Simultaneous initiative is a better tactic only if you have the option in the first place. I’ve previously gone through a case study to show that simultaneous initiative isn’t always available, but here I thought I’d go through the simple physics of exactly how and why this is the case. First off I’d like to go back to simultaneous initiative. As I’ve said, it is a common tactic in most far eastern martial arts. 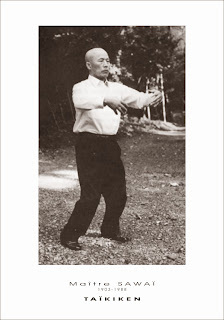 It can be found in karate as well as in the internal arts of taijiquan, baguazhang and xingyiquan. 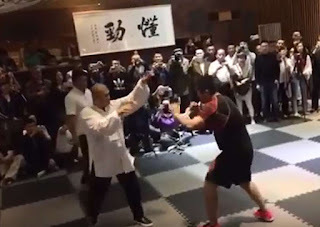 In the case of the latter, this is exemplified by a variety of movements, the most obvious being the “pao quan” movement of xingyi which has almost identical counterparts in taiji and bagua (see the first picture in this article). Now for late initiative: It is common in karate, where it does often manifest as two distinct, separated movements, namely a block and a counter. 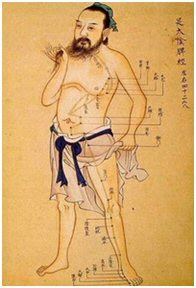 "Block and counter" also occurs in the Chinese arts, including the internal ones, but with this important difference: The block and counter are connected so that one technique “rolls” into the other: ie. they flow into one another and become part of one continuous stream of movement. Examples of the “rolling” (as opposed to “simultaneous”) block and counter sequences can be found in each of the internal arts. So in xingyi you need only look at pi quan, zuan quan and heng quan. For taiji look at "peng", "ji", "single whip" and "repulse monkey" as just four of many, many "rolling" block and counter techniques. In bagua there are more “rolling” block and counter combinations than I care to mention. Take a look at the video below, for examples. A video showing bagua applications. Note the number of applications that correspond to “rolling” block and counter combinations. It is important to note that in my view all “block and counter” combinations should be “rolling” ones – connected to form one continuous stream. The separate “block, then counter”, performed as two movements in karate, is a very basic construct for teaching beginners by isolating the individual components. 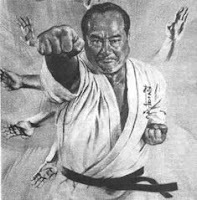 I believe its continued presence in anything but basic karate kata (eg. 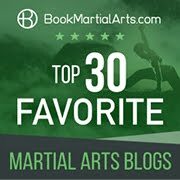 gekisai, fukyugata and the pinan/heian series) is evidence of dilution as well as a lack of understanding of how these movements are to be applied in a dynamic, resistant context (see my articles “Why blocks are not strikes strikes in disguise” and “Low “blocks” against kicks: are they ridiculous?”). Which brings me back to late initiative. Why would it be important to a civilian defence system? Why can't it be replaced by simultaneous initiative? Surely the latter is preferable to any version of the former (albeit "rolling" or "connected")? The primary reason late initiative remains of vital importance to civilian defence comes down to the element of surprise. As I have previously discussed, you will often be surprised by an attack - surprised to the point where you have no option but to deflect first, and counter second. But this still raises the question “Why would that be that be the case?” The answer lies in understanding human reaction times and distancing. A video in which I discuss the realities of reaction times against attacks in the melee range and why your forearm is going to be particularly useful as a method of defence. As you will see from this video, by the time you react to a surprise attack, the attack is likely to be about 80% of its way towards you - ie. it will be about 15 cm or so from landing on your face or other body part. I hold it to be self-evident that in the bulk of civilian defence scenarios the first attack will have some element of surprise. This potential increases exponentially the more serious the attacker is. As Rory Miller will tell you, attackers who really want to “take you out” tend to stack the odds in their favour: they don’t leave things to chance. They are likely to be armed, they are likely to be in company. But more than anything, they are likely to give you little to no warning. Let’s put it this way: in all my years as a prosecutor I can’t recall a case where someone announced their attention and “squared off”. Many assaults I saw on surveillance footage involved the accused and his friends approaching the victim to ask for the time or a light – and then suddenly launching into an unprovoked assault. Other cases involved “king hits” outside nightclubs. 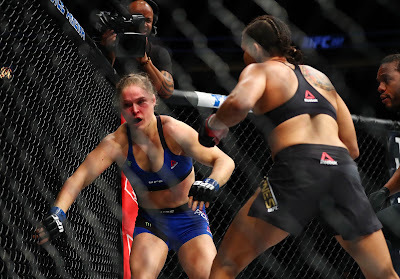 The “king hit” is of course where the victim is hit either from behind or as he or she was starting to turn away. Sometimes the person would tap the victim on the shoulder then punch him or her as the victim turned around (so as to preserve some modicum of “honour” – as if the turn-around made any real difference to the “fairness”!). So let us assume for a second that you’ve been attacked by a “king hit”. I think we can assume that your arms will be down (which is where they typically will be if you are unguarded). If it is at all possible, I favour the last option (ie. evade and block/deflect) as you have two means of defence at your disposal, both of which provide a safeguard for the other. That is what civilian defence systems are all about - protecting you, first and foremost. Besides - your basic flinch reflex is already primed for that sort of approach, since it involves both (a) a withdrawal of your body; and (b) an outward movement of your arms. All civilian defence arts try to do is shape that flinch reflex into a productive and effective response (rather than rely on an untrained, generic hazard-avoidance instinct). Now we have to be clear on one thing: a truly “simultaneous” block and counter does not involve any “evasion” (ie. withdrawal or other movement away from the attack - be it backwards or “offline”. In order to function as both a deflection and counter, a movement must be directed into your target. In other words, simultaneous initiative requires you to move straight towards your attack. As we shall see, this has a significant impact on the likelihood of using simultaneous initiative against a “king hit” or other surprise attack. How possible is simultaneous initiative against a “king hit”? You will start to react when the punch is 15 cm from your face. Your arms will be more than 50 cm away from intercepting the attack. Your arms will be even further from your attacker. 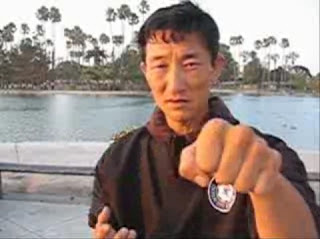 In short, you have very little chance of intercepting the attack before it hits you; you simply won’t have enough time to move your arm into position to deflect the attack - particularly from a “standing start” (note that your opponent is already at maximum velocity - you have yet to begin acceleration, and you have more than 3 times the distance to move!). Furthermore, your chances of "beating your opponent to the punch" are, for all practical purposes, zero (you have at least 10 times the distance to move - from a standing start!) . Now imagine for a moment trying a simultaneous deflection and counter. As we’ve noted, this requires you to move into the attack. And this means that you will decrease even further the distance between the attack and your face, and hence decrease even further your chance of intercepting and deflecting the attack in time. Indeed, your velocity moving into your attack, and the velocity of the attack will be added. 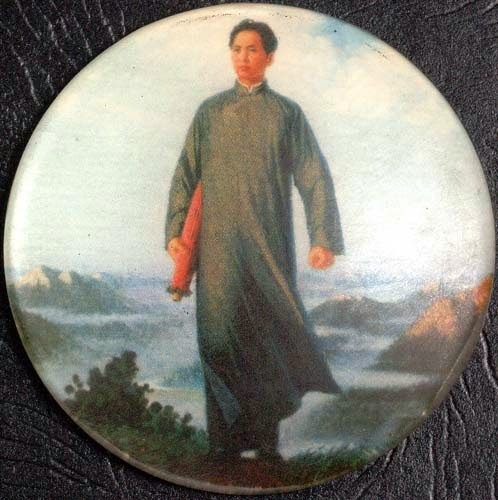 In short, you will accelerate the certainty of walking right into your opponent’s fist. In these circumstances I think it is self-evident that you don’t have any time to do a “simultaneous” block and counter. Your only option is to increase the distance between you and your attack – in other words, evade. You can do this by bobbing, weaving, ducking, otherwise moving offline - forwards at an angle or to the side - or just withdrawing. Whatever method you use, you must increase the distance between yourself and the attack by moving the target (usually your head). This buys you more time so as hopefully to “turn the tables” and “seize the initiative” - time within which you might be able to get your arm into position defensively as well. In other words, by using evasion, you might also be able to block/deflect. Accordingly I think it is clear that in a surprise situation, you simply don’t have time to use “attack as a defence”. You have more pressing concerns: the enemy is at your gates. You have to negate that threat before doing anything else. Conversely, attempting "attack as defence" will mean walking into your attacker’s blow. It’s a simple matter of reaction speed, time and space. So against surprise attacks, I really doubt you’ll have any option of simultaneous initiative. You’ll be left with late initiative. And when you execute this “late initiative” you should do so in the form of both (a) an evasion with a block/deflection; and (b) a counter. Most importantly, the two need to be connected as a rolling, continuous flow: a single sequence but with two components. They must not be separated into two distinct moves by artificial pauses – whether by extraneous, artificial hip movements, some sort of bouncing “sine wave” or any other theory designed to add “power”. Of course, none of this detracts from the desirability of “simultaneous initiative”. It will come into its own immediately once you’ve gotten over the initial surprise factor. Once it is available, you can and should use simultaneous techniques in preference to any “late initiative”. 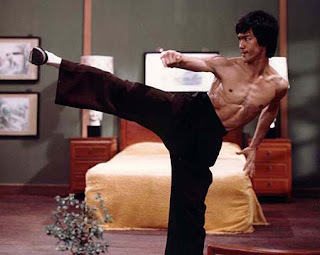 As Bruce Lee famously said: “If someone grabs you, hit him!” There is no reason to wait for an attack once it is obviously inevitable. But in order to get to use simultaneous initiative, you need to get to a point where it is possible. You need to survive the opening attack. Accordingly, from a civilian defence perspective, nothing is more critical than learning to cope with that first, surprise, blow. 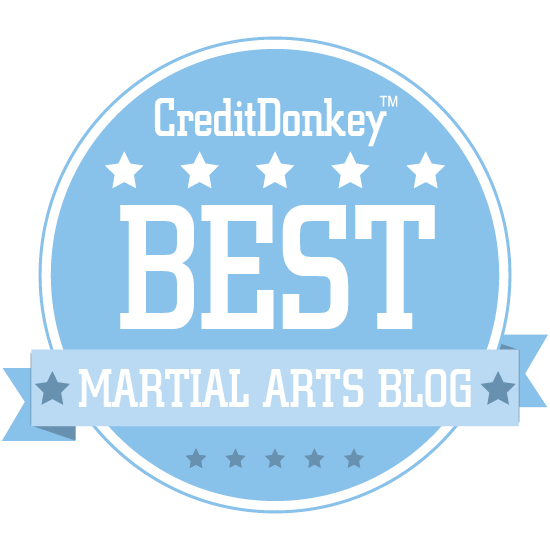 It is for this reason that I believe traditional Far Eastern martial arts have their fair share of “late initiative” moves – particularly in the form of block plus counter – in addition to any “simultaneous initiative” tactics. Ignoring the former is plain folly and buys into the “Attack, attack attack” mindset I have previously discussed. It also ignores the fact that “Boards don’t hit back”. In civilian defence the premium on surviving that surprise attack is the highest. After all, if you survive, your counter might well determine the fight then and there. If it doesn’t you can go on to use more “simultaneous” tactics. But if you don’t train for that surprise attack, then all your other grand theories of “attack-centric” methodologies might very possibly come to nothing. No "target-focused" theory or "blitzkrieg-style" attack methodology changes this simple fact. 1. My more long-term readers will be familiar with the fact that I don’t really use “block” to refer to a “stopping” of a blow – ie. literally a “hard block”. Rather, I mostly use the term out of habit to refer to a “soft” deflection or parry, with the occasional use of hardness or stopping/jamming where necessary – see “Why blocks DO work” and “Why block with the forearm rather than the palm”. Great post as usual, Dan. Slashing through quasi-magical pretense with a katana. As I've commented elsewhere, this is a case where I can see training on evasion (with deflection/parry) to come in really handy, yet it's not something that I sense Eastern martial arts really strongly trains on. I may be wrong on that, as I'm only speaking from experience here, from my Goju/Hapkido training, where the first option was always "hard block." As my capoeira professor (who is also a black belt in a Shotokan offshoot) so succinctly puts it: Life would've been so much easier if they just told me to move. I personally don't believe there is a single "hard block" in goju, and possibly not in karate at all in terms of its original design. But I know this view is controversial! Thanks for reading and your input Patch. You're right - so few karate etc. students move enough! Add some gloves and contact and watch things change! This still leaves out the other option you have yet to address. When an ambush succeeds and the choices one must take after the ambush attack has succeeded. "they don’t leave things to chance. They are likely to be armed, they are likely to be in company. But more than anything, they are likely to give you little to no warning. " Which is why you have not covered the worst case scenario. The worst case scenario isn't someone reacting with late initiative to a surprise attack. The worst case is that they don't figure out they are being attacked, until after the attack has succeeded. The gun has gone off in their back. The knife has punctured the body and ribs, and is about to get sunk in again. That is the worst scenario.